Published: March 24, 2015 at 12:17 p.m. 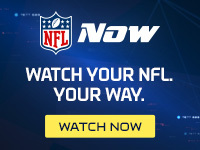 Updated: March 24, 2015 at 12:45 p.m.
PHOENIX -- Peyton Manning needed more than a few weeks to decide if he wanted to play next season, but Denver Broncos coach Gary Kubiak believes his quarterback will arrive determined as ever for training camp. Asked Tuesday if he was concerned about Manning needing time to weigh his future, Kubiak brushed it off as a non-issue. "I didn't feel that way about it, you know, I just think that they were going through a process that they had agreed to go through, he and (general manager) John (Elway), as they left for the offseason," Kubiak said during the AFC coaches breakfast. "But all my conversations with him are very positive. I always felt, in my mind, like he wanted to continue, he was trying to work through some things and make sure he felt good and felt healthy, so I guess I didn't see it that way." Around the NFL then asked Kubiak about Manning's fit in his beloved boot-heavy offense. Specifically, is a 39-year-old Peyton -- not exactly a scampering deer -- the ultimate prototype Kubiak would carve out of stone for his rollout-centric attack? "I'd pick Peyton Manning for any offense, I mean, we're going to go do what he does best," Kubiak said. "We're not going to go roll out if that's not something that's a strength of our team. We're going to do what he does best." Said Kubiak: "I'd pick him any day of the week." It's another reminder that Kubiak isn't hellbent on forcing his playbook down Manning's throat. Instead, the coach and future Hall of Fame passer will find a common road to running an offense that should continue to be one of the AFC's finest if Manning can return to the form he showed before his season-ending swoon.